The Lodges at Cresthaven provide a multitude of services for those looking to get back to their natural roots. Customers of the lodges can rent, buy, or host an event at the breathtaking lake-front property. 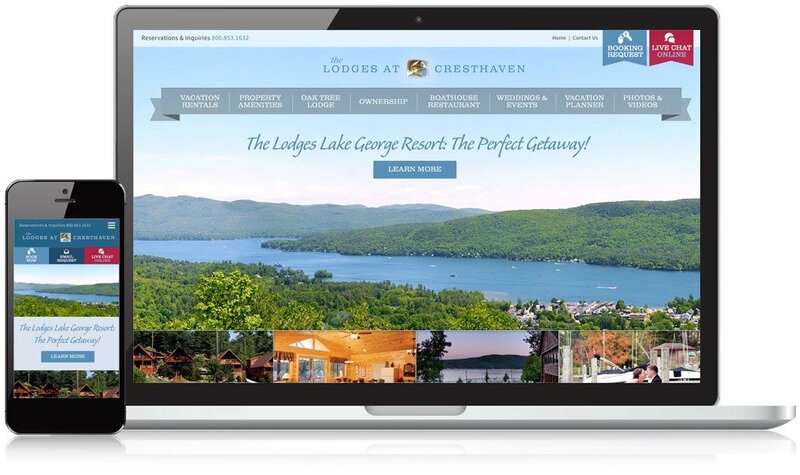 The Lodges at Cresthaven called for a site that was focused around content and easily updated, so our team developed it through the WordPress platform. This resort website is as detailed as it is visually appealing; the extraordinary landscapes and impressive dwellings are put at center-stage. Using responsive design, the redesigned website is easy-to-use across desktop and mobile devices. 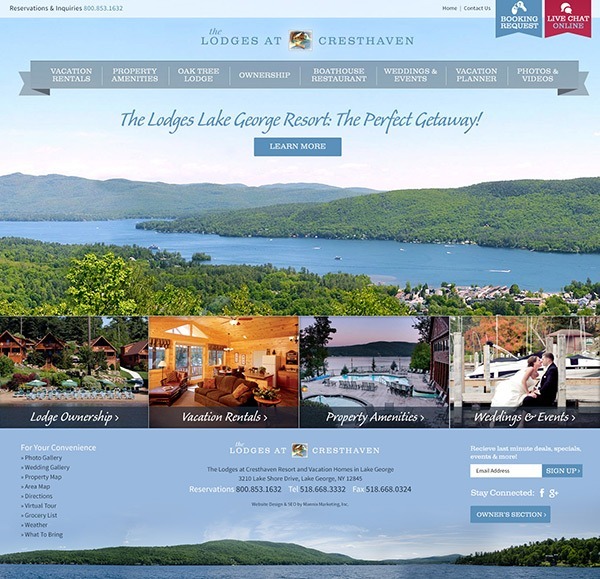 In addition to creating a great experience for website visitors, responsive design provides an SEO benefit for the Lodges at Cresthaven. Although there was only a slight uptick in organic search traffic as we designed the original site to be search engine friendly, there was a significant increase in conversions (bookings) through the site due to the ideas that came from our planning meetings with their brilliant team.